Jeff Duff and his band have established themselves as the preeminent Bowie tribute band, headlining the ‘Let’s Dance’ festival in 2017 honouring Bowie, touring extensively in 2018 and drawing glowing support from Bowie’s official website BowieNET. 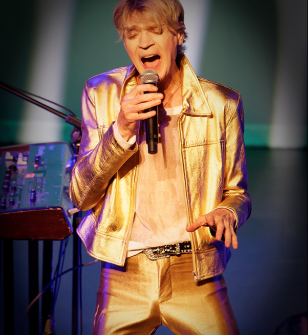 Bowie Unzipped are not impersonators – they are distinguished and acclaimed musicians in their own right, who present a unique interpretation of Bowie’s remarkable and enduring songbook. Includes the songs: ‘Space Oddity’, ‘Let’s Dance’, ‘China Girl’, ‘Life On Mars’, ‘Changes’, ‘Ziggy Stardust’… and more.